MOO Bisquick Banana Bread - the nicest and easiest banana bread ever! I love the convenience of mixes ready to go. At the moment I have chocolate cupcakes, tea cake, sultana muffins, cranberry muffins, cream of chicken soup, taco seasoning, spaghetti seasoning, pizza dough, doughnuts, instant custard, white sauce mixes all in jars (I love them too) or ziplock bags. 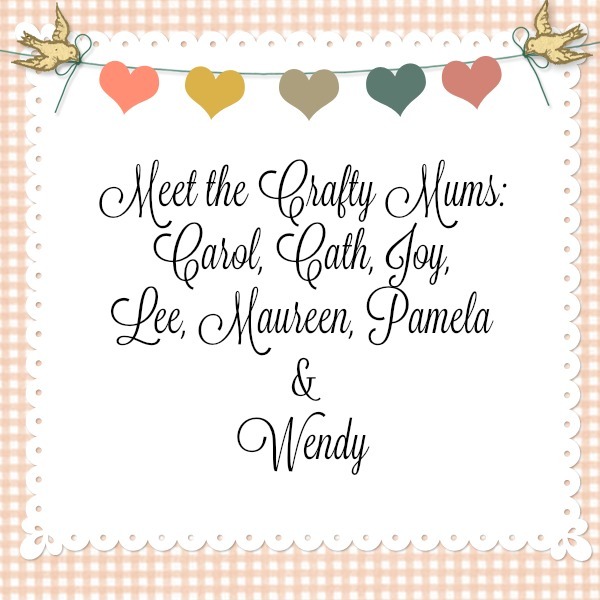 I print the ingredients and method either onto a label or straight onto the jar or bag with a Sharpie so anyone can take a mix and make it. Means Wayne or the children can help me with baking or meal prep without my supervision or even input. Annabel, over at The Bluebirds are Nesting (Blue Wren in the forum) is doing a series on pantry preparedness. She posts a new topic each week and this week it was mixes. I love mixes. They are a vital component of my pantry, my stockpile and go a long way towards helping to keep our grocery bill to $320 a month. I can't remember the last time I bought a cake mix. Hannah bought a couple last year and made them, red velvet cupcakes if I remember correctly. We HATED them - they tasted so fake, had a horrible after-taste and left a greasy, thick feeling in our mouths. And they were expensive. During MOO Month I shared my go-to chocolate cake mix recipe. 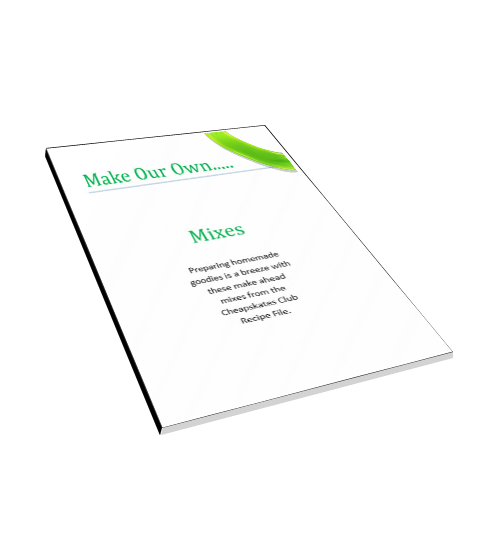 A few years ago I put together a small ebook of mixes, called Make Our Own….Mixes. It's one of the more popular downloads in the member's centre, having been downloaded almost 32,000 times since it was first published! That's a lot of people MOOing mixes, or with the knowledge to MOO them. Annabel was asking for a Bisquick recipe. Bisquick isn't a common ingredient in Australian recipes, but as the Internet makes it so easy for us to find and try recipes from other countries, and as it is a popular product in the USA and Canada, knowing how to MOO it means we can try these recipes, save money on the packets and keep the nasty ingredients out. This is my Bisquick recipe. I use it to make biscuits, scones (if we are camping, otherwise I make Lemonade Scones), crumble topping, shortcakes, pancakes, pastry, as the base in impossible pies and quiches - it's very versatile. This makes 6 cups of mixture. I pack it in 2 cup portions in ziplock bags in the freezer because I don't have room in the fridge. I keep most of my mixes in the freezer. Why? Well firstly because I don't have the shelf space for them. Secondly, some of them contain butter or oil and need to at least be refrigerated. They can be used straight from the freezer, if there are any clumps just break them up before you add the wet ingredients. Here are two of the ways I use it. Mix to a dough. Gently press out to about 2cm thick. 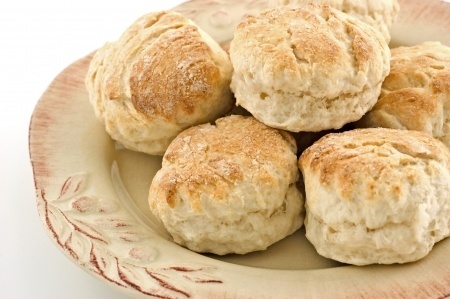 Use a glass or scone cutter dipped in flour to cut into rounds. Place on a baking paper lined scone tray. Bake at 210 degrees Celsius for 12 - 15 minutes or until risen and golden. This delicious banana bread uses MOO Bisquick as a shortcut. 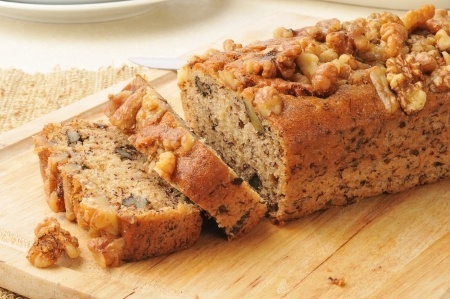 With the addition of cream cheese and walnuts you have one of the easiest and nicest banana breads you've ever tasted. Pre-heat oven to 175 degrees Celsius. Grease and line the base of a loaf pan. Beat sugar and cream cheese together until smooth (it's easier if you use the mixer for this step). Add in the mashed bananas and eggs, and beat until well combined. Gently stir in Bisquick and walnuts, until just moist. Spread evenly into the loaf pan and bake for one hour. Cool completely before serving. This is a very moist banana bread, it doesn't rise to a high loaf, and it's just great for using up brown or black bananas. It also makes a great Gift in a Jar - just pack the dry ingredients in layers in a jar, add a label with the ingredients needed and the method. Add a pretty jar topper and a ribbon and it's ready to go. Mixes are great. MOO mixes are even greater. If you haven't tried to save money, time and energy with MOO mixes, give them a go. I'm sure you'll love the convenience and the cost. Thank you Cath. I was just reading Annabel's blog about the mixes and now I am so excited that you have posted your recipe for Bisquick. I will be using this recipe for sure. Sherri there are a lot of recipes you can use the MOO Bisquick in. I love that MOOing it means it only has real food ingredients, nothing artificial in it. Just don't forget to keep it in the fridge or in bags in the freezer . I am intrigued with these mixes. I don't buy cake mix or anything like that as I make my own from scratch. I saw the mix on Annabel's blog and thought these are a great idea, something I could try. 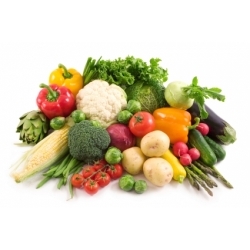 Thank you for this post and recipes Cath, it makes so much sense to do this. So easy to just grab, mix and bake.